It took you long enough. There’s a new Game of Thrones season 8 trailer out courtesy of HBO and, while it has kept most of its cards close to its chest, there’s the small matter of a new release date as well as a few tantalising clues to keep us preoccupied until April 14. 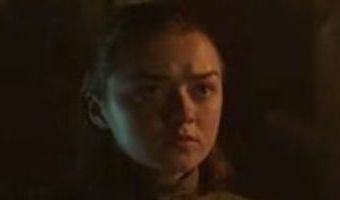 Some corners of the internet are even doubly sure that the new Game of Thrones trailer has predicted a big death or two.The Game of Thrones trailer, which you can watch above, focuses on three of the four remaining members of the Stark clan in Sansa, Arya, and Jon Snow (surprisingly, Bran is absent) walking down the crypts of Winterfell. They are confronted by whispers of the past, Ned Stark being one of them, as well as statues of Caitlyn and Jon’s mum, Lyanna. No Robb, though. Poor Robb.At the very end of the passage, the three meet and come face-to-face with statues of themselves. Weirdly, Jon’s statue looks a lot older than anyone else’s but more on that in a moment. That’s … [Read more...] about We finally get a release date in this new Game of Thrones season 8 trailer – but what else does it tell us?